Say it ain’t so, Tom must not go: Is Tom Delonge leaving Blink-182? On June 20, 2012, I was standing among 10,000 screaming fans in Glasgow’s SECC, eagerly and impatiently waiting for the comical kings of pop-punk, Blink-182, to take the stage. I was ecstatic to finally be seeing one of my favourite bands live in concert after a seemingly indefinite hiatus, announced in 2005, came to an end and Blink were back. The lengthy set list did not disappoint and included fan favourites: All The Small Things, I Miss You, The Rock Show, Always, and a few underrated gems like Stay Together For The Kids, with some more recent tracks like After Midnight and Up All Night. After a successful tour and rumours of another new album underway, many fans, myself included, were devastated to learn this January that singer, guitarist and founding member, Tom Delonge, has reportedly left the band. 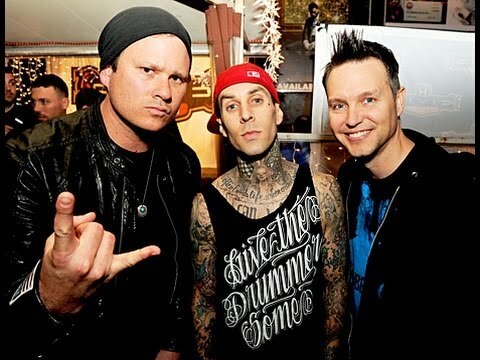 With conflicting statements from the American rock trio, there has been a certain ambiguity surrounding this news with singer and bassist, Mark Hoppus, and drummer, Travis Barker, claiming that Delonge has quit indefinitely, while Delonge has implied that he was pushed out of the band. In this interview, Barker also questioned the reason behind the band’s reunion as he believes they only started making music again because of his near-fatal plane crash in 2008. The crash, which killed 4 people and left Barker and one other passenger as the only survivors, led to Barker needing 16 different surgeries as he suffered from second and third degree burns and is still battling posttraumatic stress disorder. At the time of the accident, during Blink-182’s ‘indefinite’ hiatus, Hoppus received a phone call with the news and flew to his former bandmate’s side while Delonge learned of the incident when watching the news in an airport and broke down in tears. Surprisingly, it was Delonge who set the wheels in motion for Blink-182 to reform and said: “Instantly after the plane crash, I was like ‘Hey, I want to play music with him again.’” It seems the novelty of this musical epiphany didn’t take long to wear off as Delonge seemingly started slacking and putting off working with the band to pursue other projects.